Car accidents are all too common. In fact, a person is injured in a car accident every two minutes. After being in a car accident many questions will likely run through your mind. The initial shock after a car accident can lead to negligence in following certain safety measures, however, there are particular steps that need to be followed to avoid any further damage or injury. If you are involved in a car accident, these recommended steps will be helpful in guiding you through the process so that you may avoid any additional stressors. The very first thing you should do is check to make sure you have not incurred any injuries. It is very important to keep in mind that after an accident your body will experience a rush of adrenaline. This rush of adrenaline can create a false sense of well-being and camouflage life-threatening car accident injuries. If you are experiencing any pain or symptoms or anything in your body feels abnormal or out of the ordinary you should remain as still as possible and wait for emergency medical professionals to come and assess your situation. After checking yourself for injuries, if you are in good condition, you should then proceed to check on any passengers that are in the car. If you notice that they are experiencing any pain or unusual symptoms, tell them to remain calm and very still and to wait for the emergency personnel to arrive. If you and your passengers are in good condition and able to move, the next step should be getting out of the road and to a safe area. If your car is in the condition to be driven out of the way of traffic, you should pull it to the side of the road. Regardless of the severity of your car accident, it is important to alert the officials. You will need to contact the police who will soon arrive to fill out an accident report and document the details of the scene. For safety purposes, you should switch your car engine off and turn on your hazard lights. If you have road flares you should use them to warn the surrounding traffic. A very important step is to exchange information with the other driver. You should ask for, as well as give them: full name and contact information; car make, model, color, and license plate number; their driver’s license number; and their insurance and policy number. Although the police will also document the accident, you should also document it for your own records. When the police arrive, gather their names and badge numbers and ask them how you can obtain a copy of their accident report. You should also get the information of everyone involved in the accident, including passengers in the other car or any witnesses available. As another form of documentation, you should also take pictures of all vehicles involved from various angles, including license plates. The final step should be contacting your insurance provider and making a claim. If there is time you may want to consider calling your insurance provider while you are still at the scene to ensure you can answer all the questions they may have for you. Despite the trauma and shock that you will likely feel after a car accident, you should try and remain calm in order to complete all of the necessary steps and safety measures. Remember that even minor accidents can result in injury. 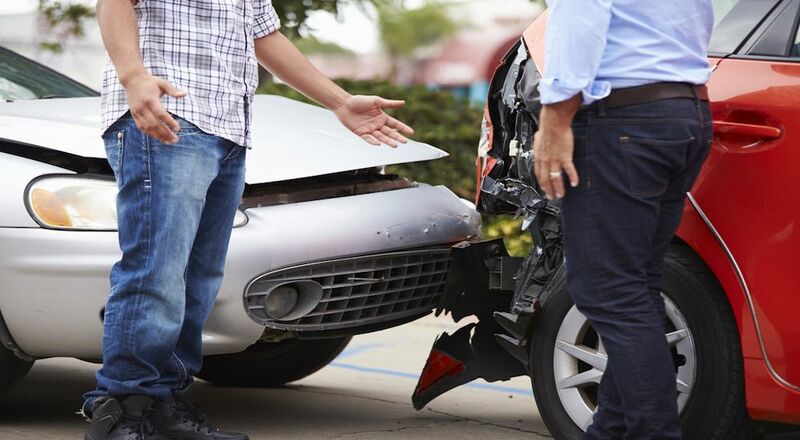 Here at Premier Injury Clinics of DFW, we are chiropractic specialists that are committed to providing quality healthcare for those injured in auto accidents and more. We are conveniently located in 5 different locations in the DFW area. In striving to prioritize our patients and their well-being, we also offer free transportation for those that have been injured or are without a vehicle due to an accident. If you have any questions don’t hesitate to contact us today.